SEALTECH 430 SERIES RV LEAK TESTING UNITS ! An EASIER WAY to Locate Hard-to-find RV WATER LEAKS!! EVALUATE RV TRADE-INS BEFORE YOU OWN THEM! If you own or run a Repair facility or a Service Department, and are truly interested in improving customer satisfaction, and generating income for your shop…. 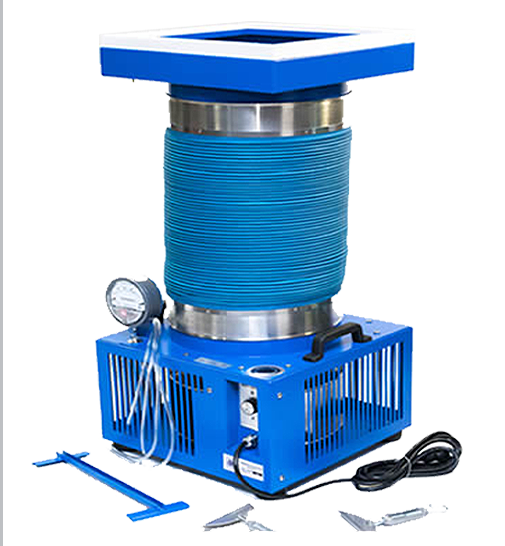 The Sealtech 430 is a must have unit. 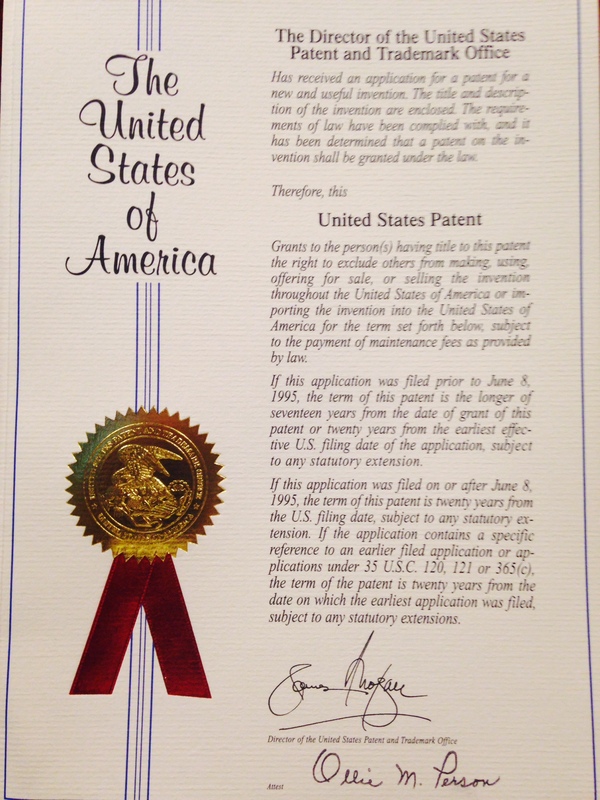 This tried-and-true machine was patented back in 2005 and is being used, with tremendous success, throughout the US and Canada for over 10 years! In fact some insurance companies are now requiring a Sealtech test be performed before writing policies or insuring units. If you are interested in implementing this technology as part of your ongoing effort to provide innovative methods in helping your customers protect their RV investments…. You NEED a Sealtech 430 in your tool box. Now, all Sealtech 430 leak diagnostic units are textured powder coated for life by PROTECH industrial finishes! Right now we are offering the basic Sealtech 430-AL Leak Diagnostic Unit for only $3,995.00 with free UPS shipping any place in the continental United States! 1 Year FREE Listing & Membership in the Authorized Sealtech Leak Testing Directory & Goggle Map! And 1- Year free listing at www.sealtechleaktesting.com and Goggle maps so customers can find your testing location. 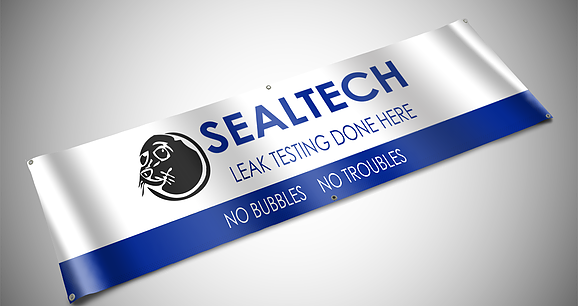 Become an Authorized Sealtech Leak Testing Location! 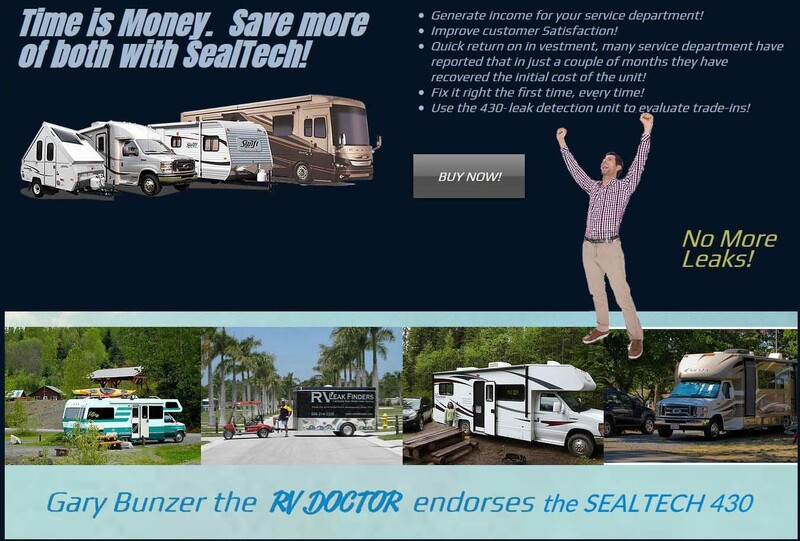 Sealtech Manufacturing USA is the industry standard for RV leak detection! 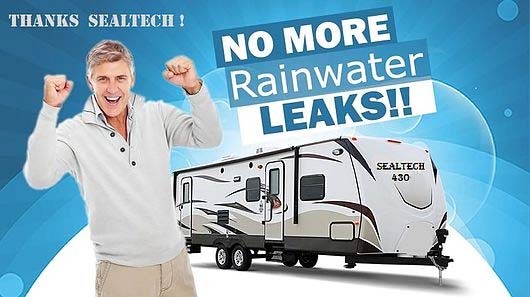 and is BEST Solution for Locating those hard to find RV Leaks! The Sealtech Leak Tester For Buses! 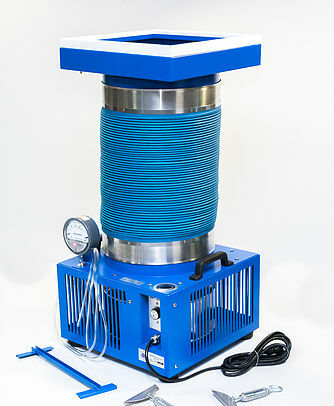 The Sealtech 430-AL Leak Testing Unit Isn’t Just For RVs!